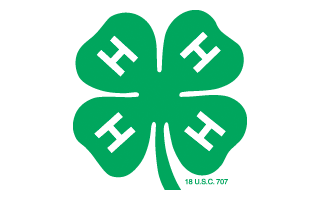 For many youth and adult leaders, 4-H delivers a club-based experience. This means we attend regular 4-H Club Meetings, perhaps once a month. We spend the entire year learning more about our project area, whether that means learning how our chickens lay eggs or grooming our horses for a regional show. We record what we learn in Record Books and give an engaging Public Presentation about it. At County Fair, we showcase and celebrate our accomplishments. Clubs are the traditional program model of 4-H but this is not the only way for youth to have a 4-H experience! 4-H programming can also be delivered as a Short-Term Special Interest program, or “SPIN” for short. This can look like a six-week program at a community partner—maybe a public library, a Boys & Girls Club, a community center, or a school. Or it may be a weekend-long event, a day camp, or a conference on a certain topic. Embryology in the Classroom Setting: This Poultry project curriculum has been adapted for a classroom setting, and may be further adjusted to fit a short-term programming partnership. The curriculum is designed for youth in grades 2-5 as they hatch an egg as a class project. Educational Symposium: This is a short-term, perhaps one-day event with clear learning goals for youth participants. This could be a great opportunity to introduce animal science lessons, as well as interactions with animals, to youth who do not own animals–or may not be enrolled in 4-H.
Dissection: This idea may generate in one specific animal project 4-H club, but can be opened up to other 4-Hers, and even non-4-H members, for an educational opportunity. Many 4-H clubs with an animal project area develop partnerships with veterinarians in the community. Local veterinarians may be willing to donate a deceased animal for dissection and lead youth participants as they learn about safety, tools and anatomy by participating in a dissection. When clubs open this event up to youth outside the club, the dissection becomes a community learning event. Marine Science: The Rutgers Cooperative Extension curriculum for the Science Discovery Series offers ways to deliver lessons on Marine Science in a formal classroom setting, or with an after-school or out-of-school community partner. From the anatomy of a whale to the unique elements of insect life, youth participants can get more acquainted with animal life through this curriculum. Teaching opportunities can continue as programs are replicated, which engages new youth participants in special events. One thing is certain: If you lead a 4-H SPIN Program in Animal Science, be sure to conduct an evaluation at the end to see just how much knowledge, skills and attitudes have changed or grown! You can contact your County Extension staff to help you with planning, implementing, and evaluating your SPIN program.